Two Denver-area Egg & I franchise locations have flown the coop. The restaurants at 560 S. Holly St. in Denver and at 8120 Sheridan Blvd. 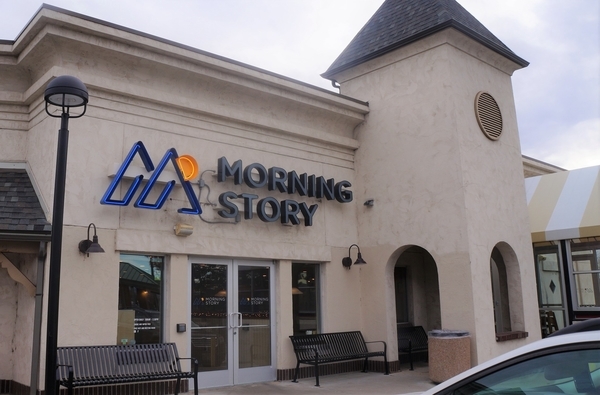 in Arvada have been rebranded as Morning Story. Director of Operations Sean Kaiser said the transition is related to the 2015 acquisition of Egg & I by First Watch Restaurants. Kaiser said that, around the time the deal occurred, he and owner Jim Gregory were exploring changing the look of their restaurants and opening additional locations, which Egg & I was not able to approve under First Watch’s regulations. “We were trying to accommodate their vision but we also wanted to be consistent with trends in the market,” he said. “They offered us the chance to buy out of the franchise, so we were able to come to a resolution that was mutually beneficial,” Kaiser said. The purchase of Centennial-based Egg & I added 114 locations to First Watch Restaurants’ holdings and gave the Florida-based company a presence in Colorado. Many, but not all, Egg & I locations have been converted to First Watch restaurants since the acquisition. The Colorado Springs Gazette reported in August that two Egg & I locations in that city would become First Watch, while a third will retain its original name. In the Denver metro area, eight Egg & I restaurants remain. Four were converted to First Watch. Kaiser said he got the impression that the fate of each franchise was based on customer traffic, as well as the July 2017 acquisition of a majority stake in First Watch by Advent International, a British global private equity firm. According to Kaiser, Egg & I franchise locations that were not converted to First Watch are continuing to operate under the original name and brand until the end of their franchise agreements, when Egg & I gives franchisees the option to buy out. For Kaiser and Gregory, this happened in June 2018. The restaurant was effectively disenfranchised on Nov. 1, he said. He said the Morning Story menu still offers breakfast favorites such as pancakes and waffles, but also has been expanded to include additional breakfast and lunch options. The Denver-area locations weren’t the only ones to disenfranchise. Kaiser said the owner of the Greeley franchise was the first in Colorado to break off.